JWH chose LiuGong to be their vendor because the 60-year-old equipment manufacturer is aggressively increasing market share based on machines made specifically for the North American market. 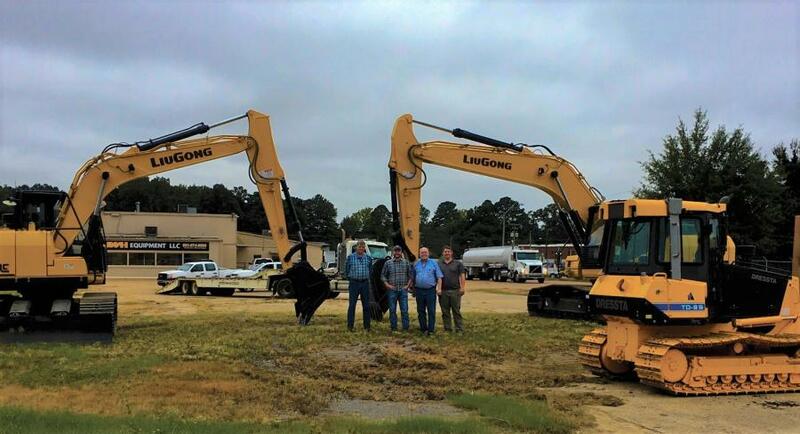 LiuGong North America, a wholly owned subsidiary of LiuGong Machinery based in Liuzhou, China, and a global leader in the manufacturing of heavy construction equipment, has announced the addition of JWH Equipment LLC in Jackson, Miss., to its authorized LiuGong and Dressta dealer network as of July 1. JWH is a leading construction equipment sales and service dealership of the region, serving a customer base that includes 65 of Mississippi's 82 counties from its 29,000-sq.-ft. facilities. The dealership's large equipment fleet features the industry's most modern and reliable machines. Established 2011, JWH is the second company Joey W. Hayles has founded. He owns the largest towing operation in Mississippi and among the largest in the South, Hayles Towing & Recovery. Just seven years after it began operations, JWH Equipment now rents, sells and services construction equipment to more than 600 customers in 65 counties, with plans currently underway for satellite locations. JWH chose LiuGong to be their vendor because the 60-year-old equipment manufacturer is aggressively increasing market share based on machines made specifically for the North American market. Their high-value features come standard, not as add-ons, increasing comfort, reliability, safety and productivity without additional cost. Most importantly, Jerry said, LiuGong stood out for its eagerness to help dealers achieve their goals. Since July, JWH has already stocked its lots with LiuGong wheel loaders, excavators and Dressta dozers for rental, with numerous sales commitments pending on the books. In addition to offering its customers the full LiuGong and Dressta product lines, JWH Equipment services and sells a complete array of name-brand, new and used construction equipment. These include compactors, generator sets, lifts, sweepers/brooms, trailers and attachments.